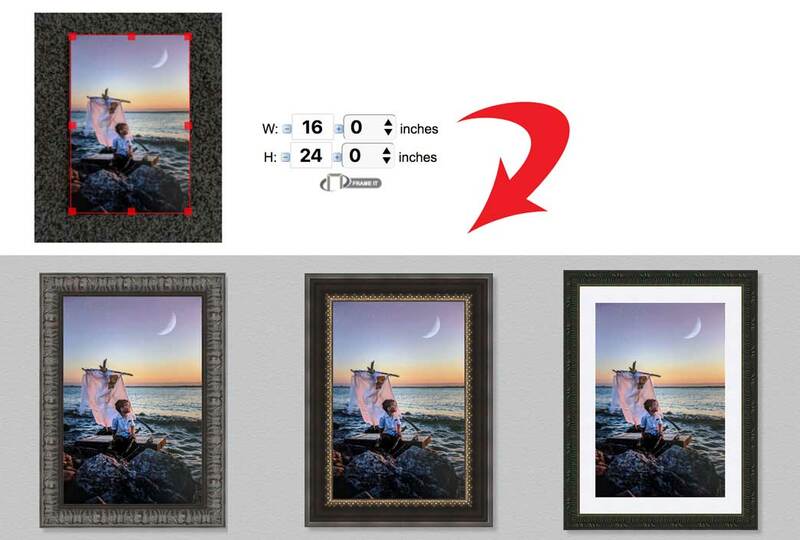 Not sure if that frame you love will work with the art piece or print you have already in hand? Ever wish you could try it before you buy it? Here at The Levin Company, we know how important it is to be able to visualize the final result, which is why we make it simple to upload and preview your art in different frames and mats. This way you get exactly the look you want and can order the perfect frame with confidence and no surprises. It couldn’t be easier to get exactly the look you want! After you decide on the perfect look for your piece in the custom framer, you can add to cart and purchase online. We will build and ship the frame out, and all you have to do is insert your art and hang it on the wall.